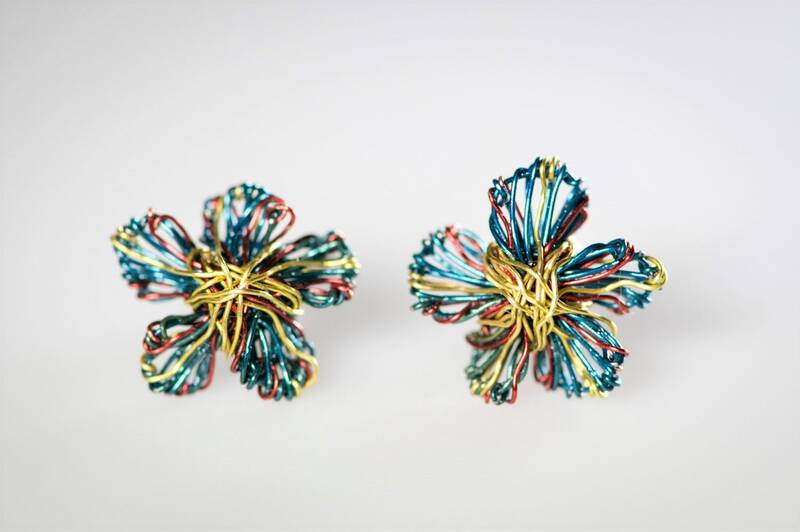 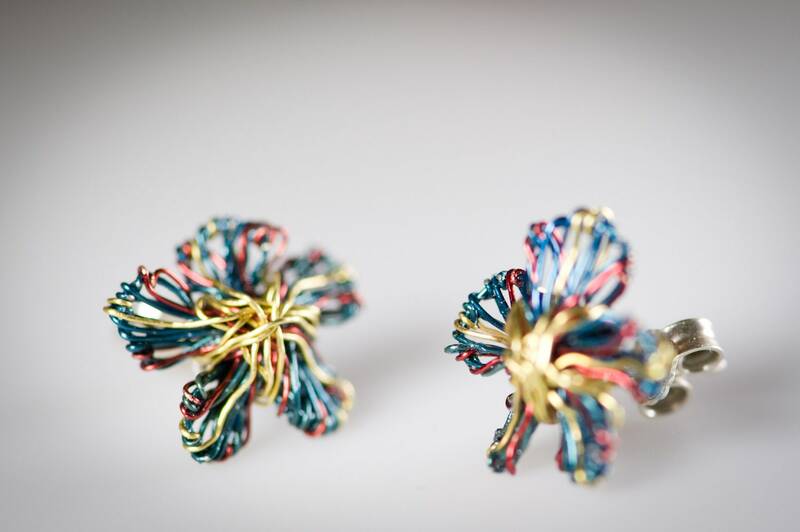 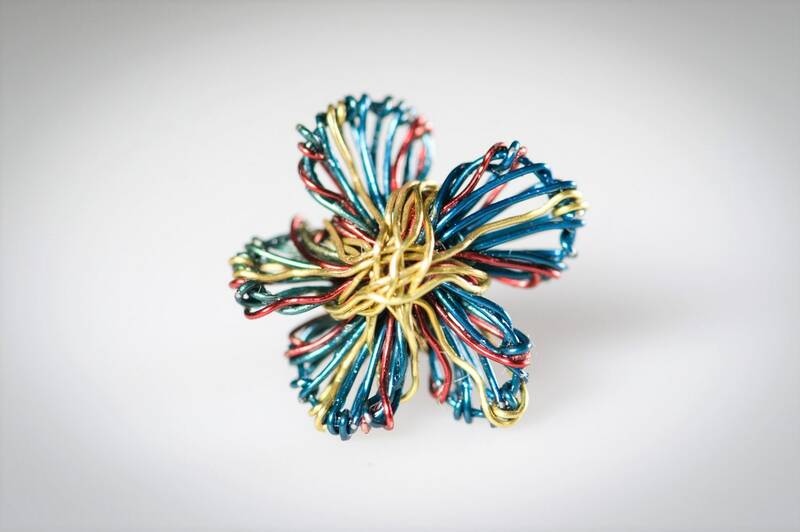 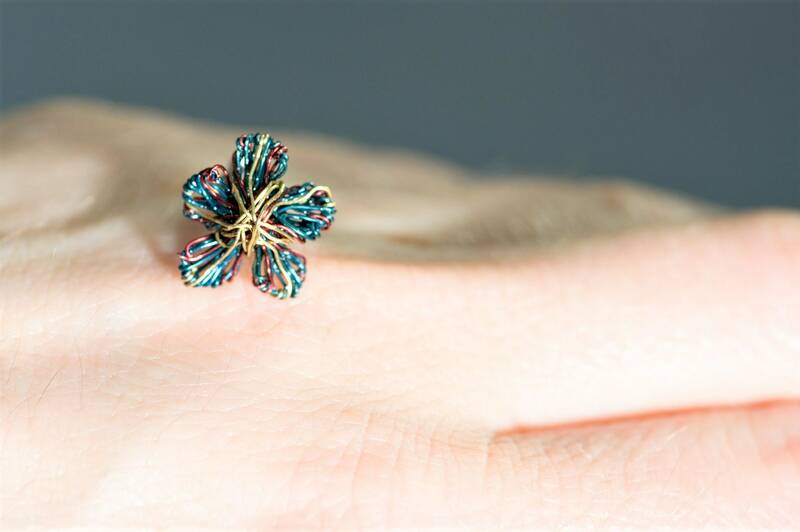 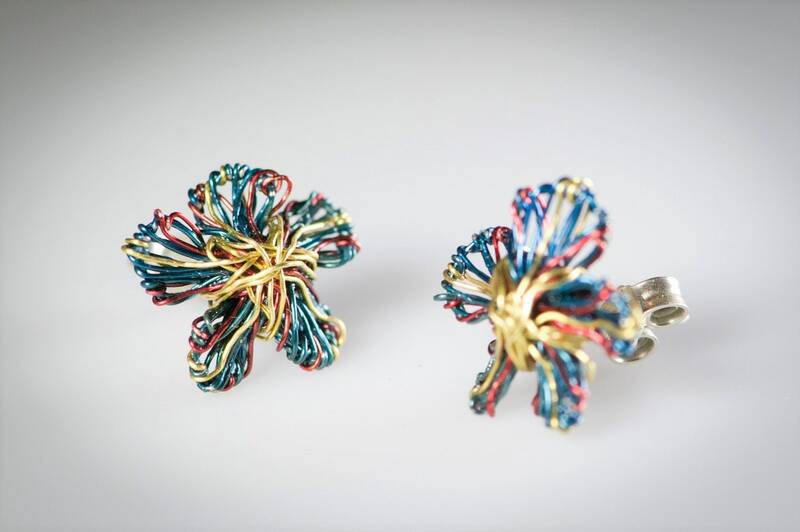 Flower earrings studs handmade from colored copper wire and silver. 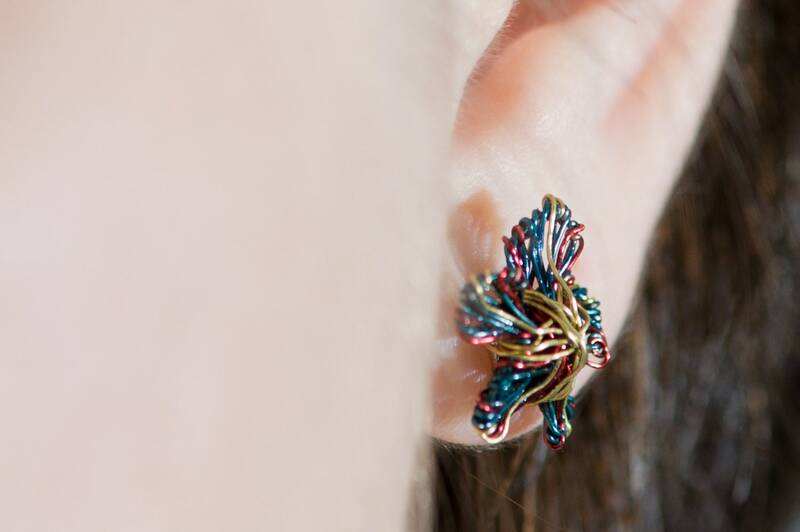 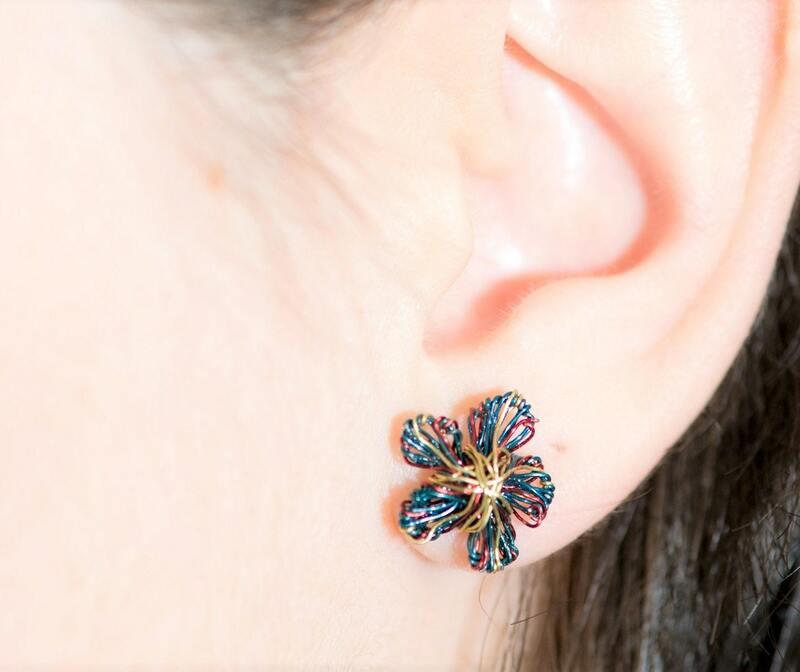 The overall size of the tiny sculpture art ear pins is 1.1cm (0.43 in). 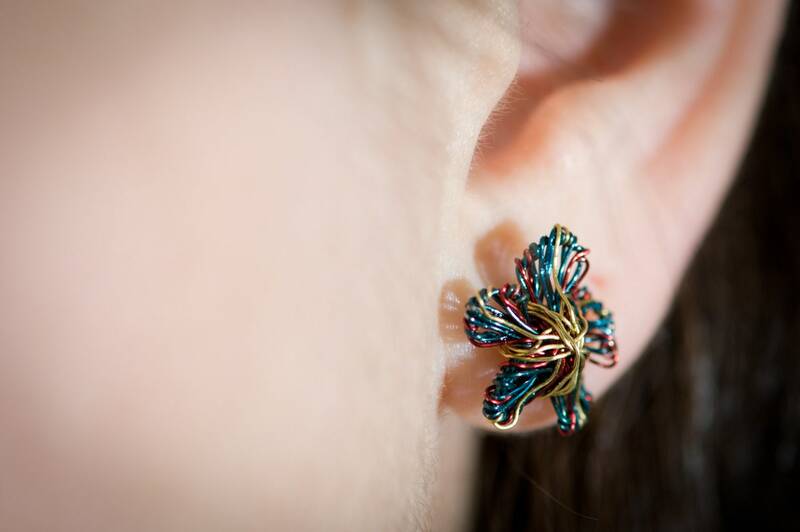 The pin of the hippie, everyday earrings, is solid silver. 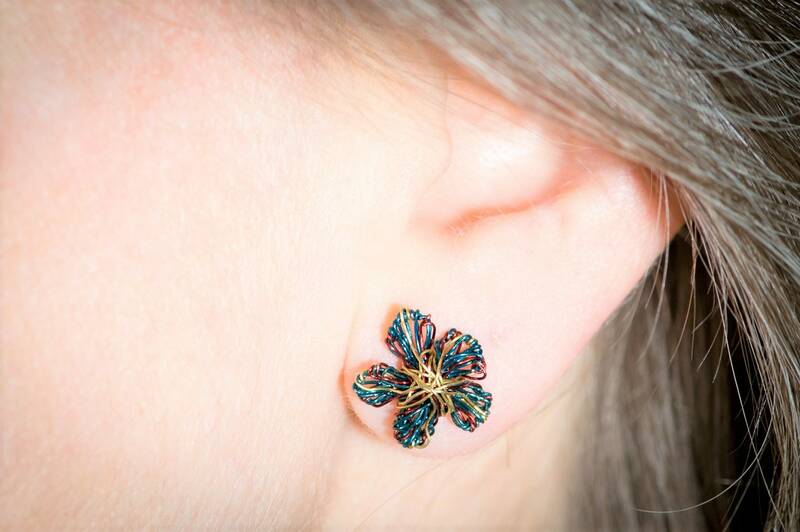 These earrings are available as a set for bridesmaids.